With every year, new Twitter tools pop up and others die off. Here’s an updated list on which Twitter tools to keep in your marketing arsenal. In mid–2018, Twitter made some changes to their API like removing an automatic timeline refresh and limiting some push notifications. This change affected all third-party apps and consequently, how some users interacted with the platform. To understand how APIs affect your work, review our guide here. All of the tools below are built on top of Twitter’s API, which means that a change to it could affect how useful the tool is. This is something to consider when you’re looking to bring another Twitter tool into your workflow. The following tools are meant to be used to supplement your current social media marketing management app or platform. These tools shine in features like audience segmentation and hashtag prompts. If you’re looking to supplement your reporting with additional Twitter analytics tools, we have a handy guide here. A veteran on lists like these, BuzzSumo offers a variety of services to pair with your social media management platform. Some of their handiest tools are free to use with limits on the number of searches you can perform in a day. Want to know which blog posts are receiving high fives on a competitor’s website? Enter the URL into their content analyzer. If you’re doing preliminary influencer research in a new industry, BuzzSumo offers a keyword search in Twitter bios to find the biggest influencers. Within each account, you receive details like average retweets, reply ratio and a list of links they’ve shared. Another useful feature is its content discovery tool. With entered keywords, search results show what’s currently trending and on which networks. Having this tool in your kit puts you ahead of trending articles and topics. Part of the RiteKit family, RiteTag is designed for the hashtag lovers. If you’re at a loss on which Twitter hashtags are the best for your current Tweet, then RiteTag is for you. With integrations in native Twitter, Chrome and management apps, RiteTag offers suggestions for the most engaging hashtags based on either a photo or text you use. For example, if you were about to Tweet an article on SEO, you would start typing “#SEO” and the related, most engaging hashtags appear. The other useful feature of RiteTag is the ability to show which hashtag is trending right now and what the stats are. 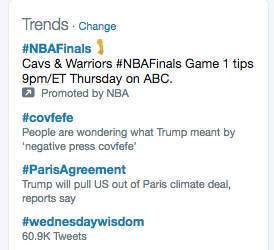 It mirrors Twitter’s own trending features but adds more information like what the exposure and unique Tweet counts per hour are. For those who incorporate hashtag marketing into their Twitter publishing, RiteTag is a useful tool to increase your Tweet’s impressions and engagement numbers. SocialRank began as an audience segmentation tool and soon expanded into content analysis and market research. With a connected Twitter account, SocialRank takes a deep look into your account’s audience and their behavior. You can sort your audience by filters such as Most Valuable or Most Engaged. Other options like narrowing them down by location or bio keywords are also available. These search results can then be saved or exported to a Twitter List. The segmentation tool is powerful for understanding your audience on a granular level and sorting them into useful advertising audiences. Their content analysis tool provides insight on why a Tweet might’ve gone viral. Where in the timeline of the Tweet’s age did it start gaining traction? Influential accounts are tagged and now you’re armed with some new, useful knowledge for your next Tweet. Sprout Social offers many tools in one for companies that are heavy Twitter users, plus it integrates with your other social networks. The Smart Inbox feature takes your brand’s Twitter mentions, new followers, Retweets and brand keywords and puts them all in one area. If you have a very active Twitter presence and multiple people on your team, the Inbox comes in handy. You can easily see if someone is working on a response, add quick reply templates for frequently asked questions and respond even when someone doesn’t mention you. On the publishing side, Sprout’s ViralPost feature analyzes your Tweets’ past engagement performances and suggests optimal send times. Use the Queue feature for this to automatically schedule. 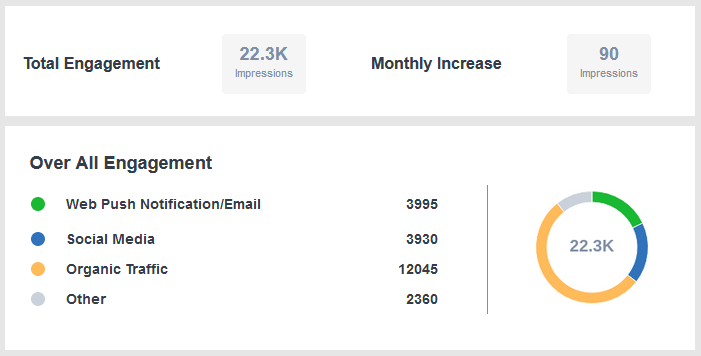 Finally, the analytics reports in Sprout give you competitor performance comparisons and account analyses, all filterable by a wide date range. There are no limits to report generation and you can easily export the data to as a csv or PDF file. The basic, free feature of Trendsmap gives you what’s trending around the world and a 7-day history of Twitter trends. These include topics, hashtags and users. The interactive map adjusts the trends as you move from country to country or zoom into a specific city. Clicking on a trending topic brings up a line graph on how the topic has performed in the last 7 days, along with the top Tweets. 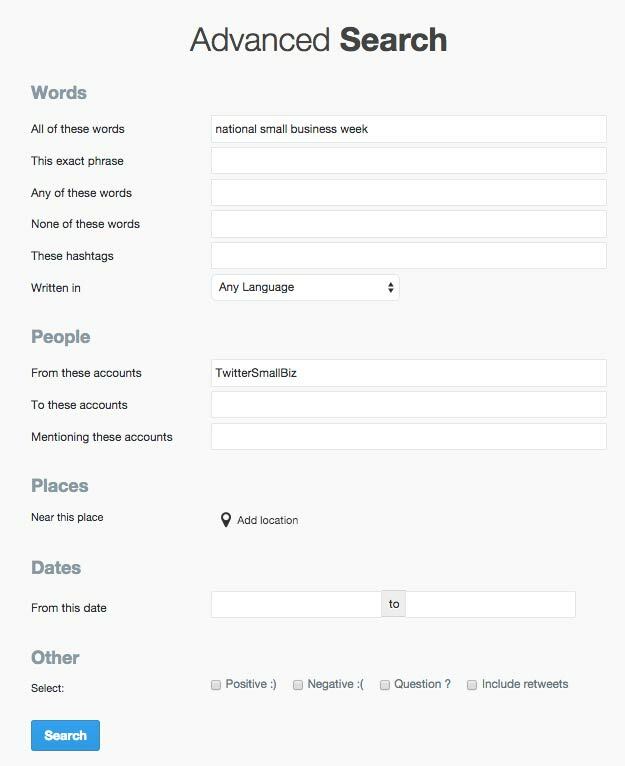 Another free feature is account-level analysis for the top 1000 Twitter users. At the moment, Katy Perry is reigning. Exploring more tells you when she Tweets the most, what type of content she prefers and even her favorite emojis. A paid plan includes useful features like adding an alert for your topics, extended Twitter history searches and visualization of any topic. Trendsmap is best used for those who need to stay on top of what’s happening around the world. This includes accounts like journalists, news agencies or politicians. Tweriod is a free tool that analyzes up to 1,000 of your followers. The analysis report that’s generated looks at both your Tweets and your followers’ Tweets to determine when the best time to Tweet is for you. While recommendations for best times to Tweet are based on an average across industries, a report like Tweriod would narrow down the times for your specific account. It’s possible that your audience may be more engaged on the weekends than another account’s audience. Without looking at a report, you wouldn’t know. ClickToTweet is a tool that allows you to create clickable links to embed within your blog posts. If you’ve read enough blog posts in the last few years, you’ve likely seen the embedded images. Grab the best, Tweet-able quotes from your blog posts and insert them in between paragraphs. All a reader has to do next is to click to Tweet out the quote. Within your dashboard, you’ll find the click activity for each of the Tweets that you’ve generated codes for. A filter for date ranges is also available. For content marketers, this feature ensures that your readers can Tweet easily and with the most quotable parts of the story that you control. It’s a win-win for everyone. Daily 140 is an email that’s sent about the activity of accounts you track. Events like who they follow and what they favorite are automatically generated into the email for you. This email can be used in a few different ways. You can watch what influencers are paying attention to, see who celebrities are following and track what your competitors are doing. The automation is easy to understand and the emails are delivered in text format. You can change the accounts you follow at any time, as many times as you wish. This is not an exhaustive list of Twitter tools. Look for Twitter tools that complement the current tools you have and are in line with your goals. For example, if your current tool is robust in monitoring and you want to increase your brand exposure, you’ll want to look into a tool that’s great for surfacing influencers. Take full advantage of the free trials or similarly featured free services if you only want to dip your toes into a feature type. And lastly, keep in mind that the tools available are only because of what Twitter makes available through their API. We’d love to hear what you enjoy using on Twitter @SproutSocial.